The Arts & Entertainment District is the strongly beating heart of the historic town. At the end of the district is the famous Clarkdale Town Park, built for the original residents of Clarkdale and still enjoyed today with free concerts and outdoor movies. Explore the town's three museums showcasing work from thriving copper artists plus stories from copper mining days gone by. For over 30 years, Made in Clarkdale has been a haven for community creative expression; fostering growth of local artists at all skill levels. Student, self-taught, and professional artists are all brought together to represent the broad depth of talent within the Clarkdale community. This organization is perhaps most famous for it’s “Made in Clarkdale Art Show”, which is an ever-expanding, annual exhibit that features over 50 novice and expert-level local artists. The annual December event is highly anticipated among art enthusiasts and unites communities of the Verde Valley in a celebration of the Arts. What was once the Old Clarkdale High School is now one of the world’s most renowned collections of copper art and artifacts. The hallways and former classrooms house breathtaking displays of over 5,000 works of copper art and architecture - spanning from 3500 B.C. to present day. 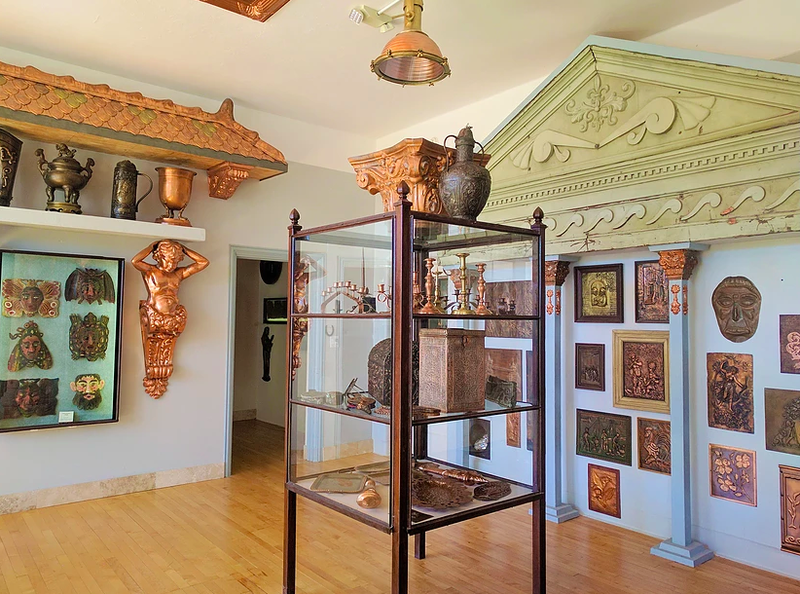 This treasure draws thousand of visitors to Clarkdale each year, and unlike most art museums, visitors are able to touch the artifacts and even invite their pets to walk with them among the hallways of history. 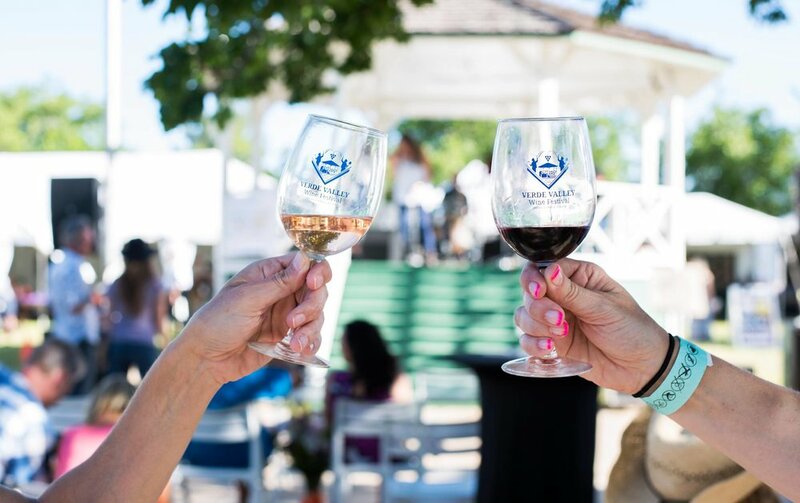 Hosted annually over Mother’s Day weekend, the Verde Valley Wine Festival is Northern Arizona’s premier Wine and Culinary festival of the year; presented by Four Eight Wineworks and Made in Clarkdale. This event highlights the Clarkdale community and the Verde Valley at large with a goal of offering the finest Arizona wineries, breweries, spirits and restaurants while showcasing homegrown products for locals and visitors to enjoy. The festival changes daily; featuring guest viticulture lecturers, live music from Arizona bands, and Made in Clarkdale artists. 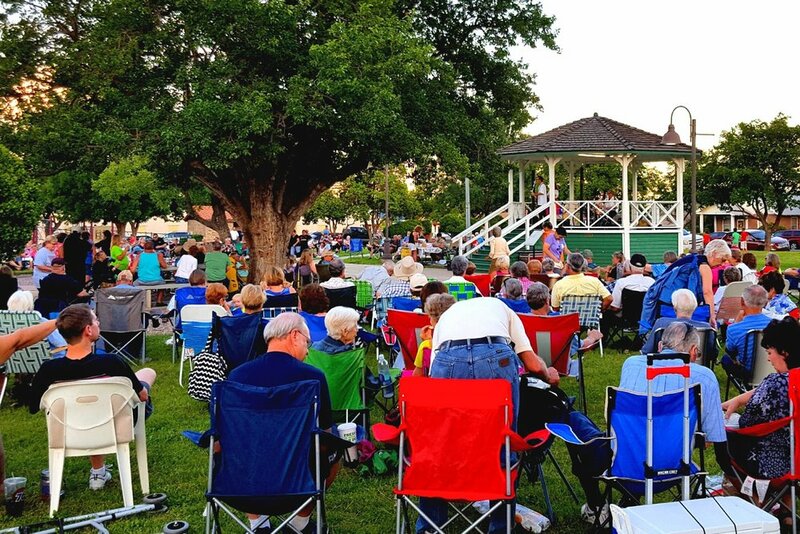 From June to September, the Town of Clarkdale hosts evening concerts at the gazebo in the historic Town Park. These free concerts cover a wide variety of genres, and typically draw crowds of over 400 to the community. Locals invite you to join them with lawn chairs and blankets and enjoy a summer evening of music, food, and a sense of community. Every summer, the Clarkdale Downtown Business Alliance hosts a series of free block parties in a celebration of hometown pride; featuring great food, drinks and entertainment by their local businesses and restaurateurs. Since its inception, word of the vibrancy of the Clarkdale Summer Block Parties has spread throughout the Verde Valley, enticing residents from neighboring communities to flock to the historic Main Street for these family-friendly events.